Drysdale Row is a new real estate development in Kelowna. Brandentic was tasked with creating a unique brand, launching a website, and providing print and sign designs for use on site and in sales centers. The branding and imagery was created before the shovel hit the ground. This meant we needed to create the visuals for the development before you could actually see any progress. This allowed potential owners to visualize the neighbourhood before it existed. Brandnetic Studios created a look and feel that people could relate to. We used vibrant colours to showcase a vibrant neighbour hood. We created a modern look that helped potential owners feel that they were part of a modern development. We also created a playful look that really helped the development shine in a city that is playful itself. A consistent look was used across all marketing materials to ensure this development would stand out among all the other developments in town! 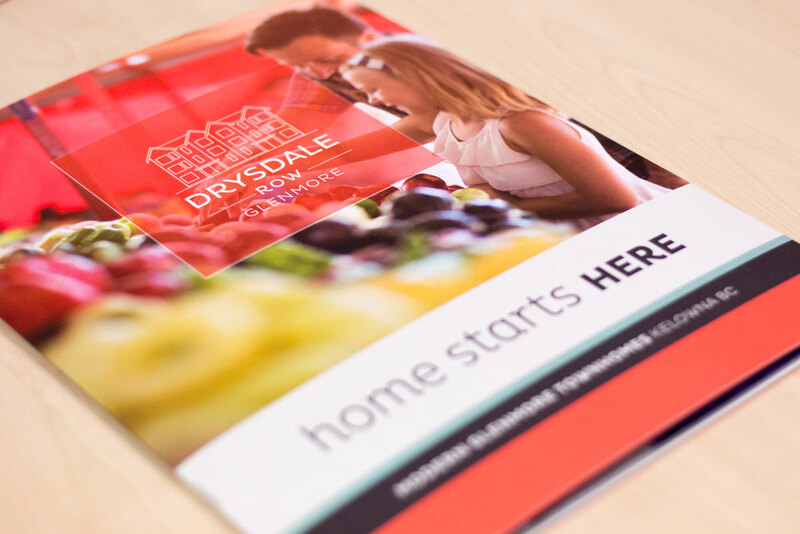 We wanted Drysdale Row to be memorable so that when making a choice on where to buy their next home, they would make sure Drysdale Row was on their shopping list.